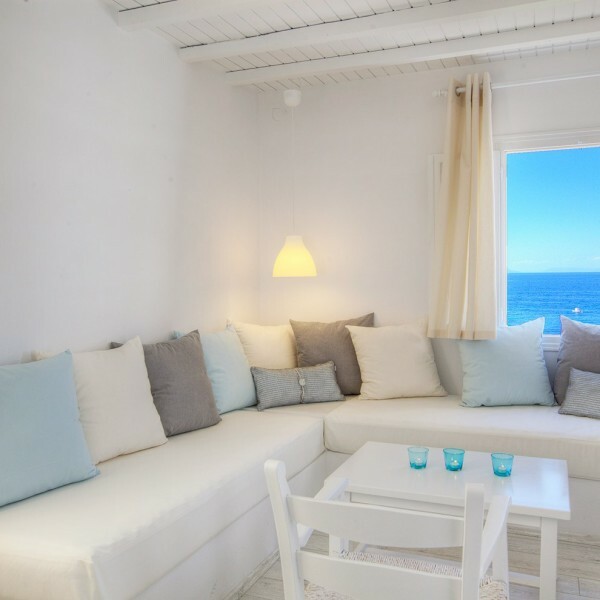 Comfortable three-room suites ideal for families or friends.They are on the 1st floor offering sea and garden view. 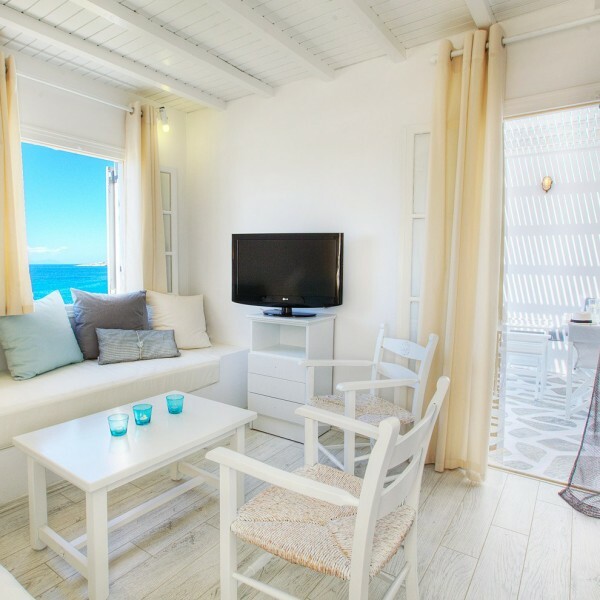 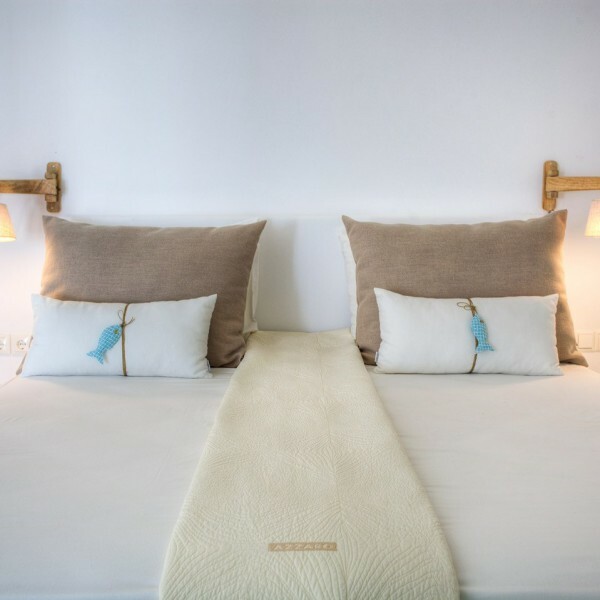 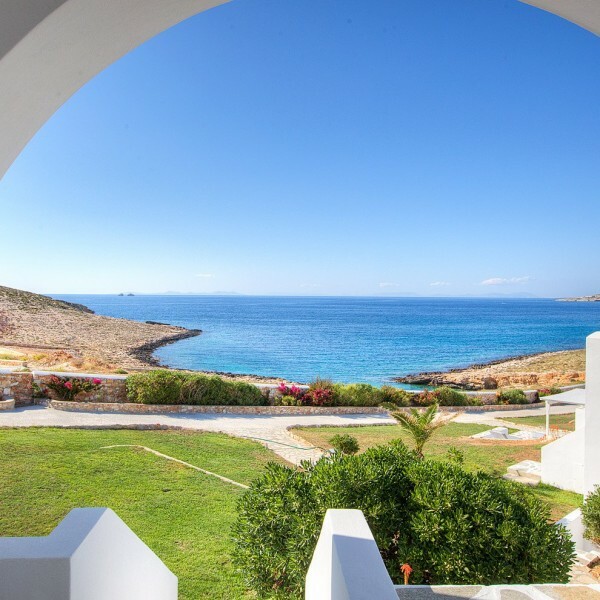 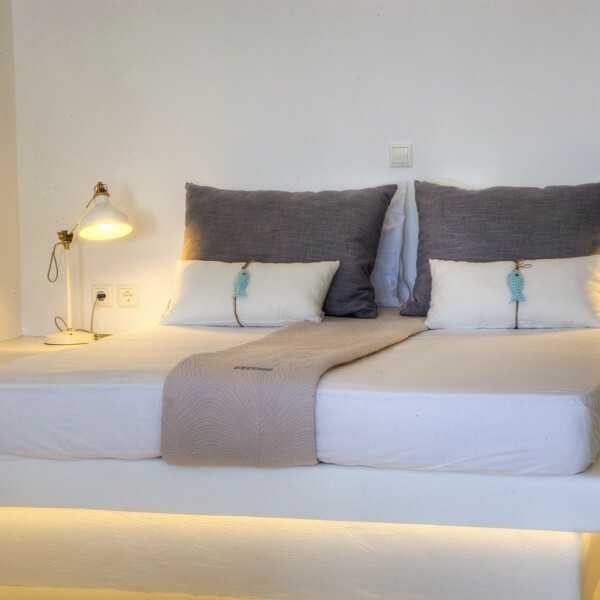 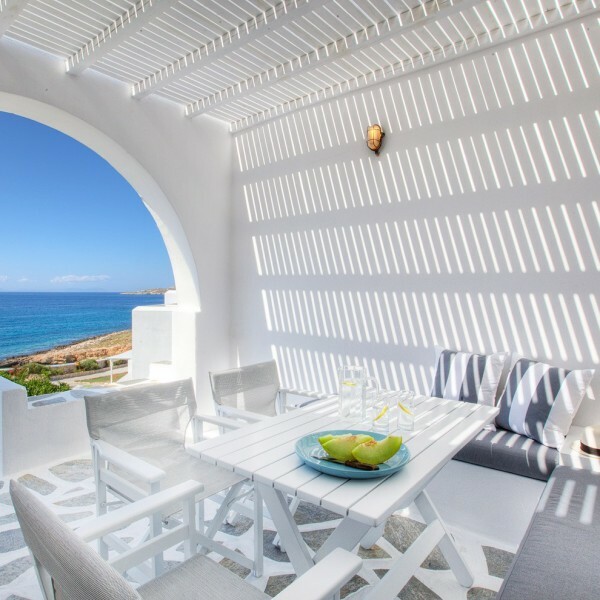 They feature 1 bedroom with traditional Cycladic-style King Bed, 1 bedroom with 2 built single beds or 1 built double bed, a living room with 2 built sofa – beds, refrigerator and coffe corner. 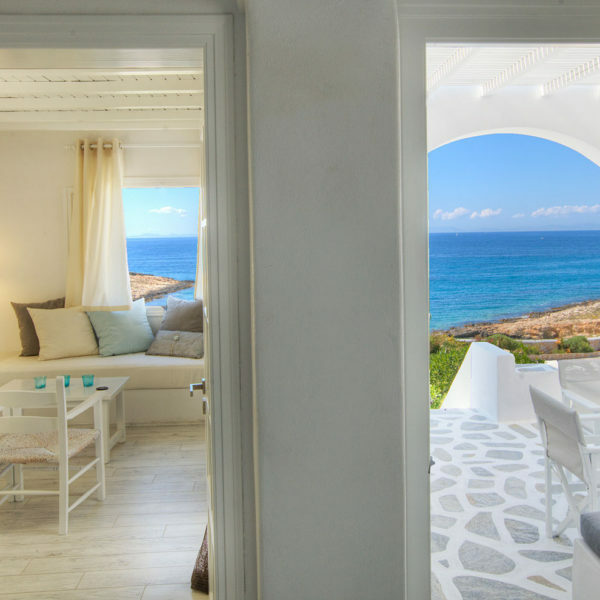 These suites have two bathrooms, one with whirlpool and the other one with shower. 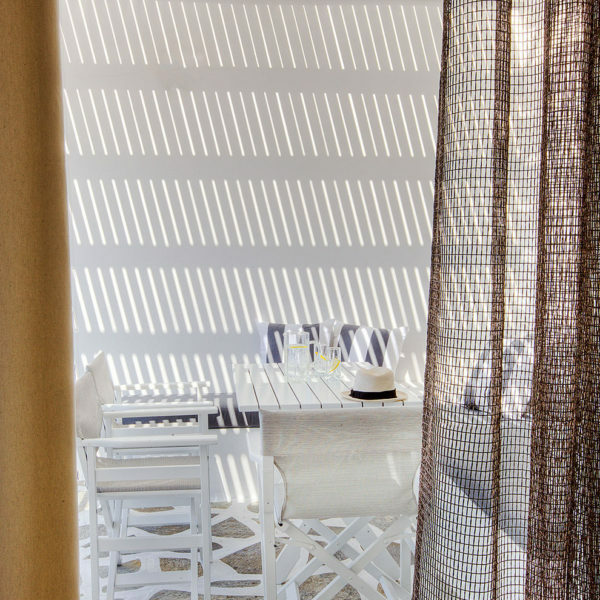 The suites also offer 2 large verandas, one in front and one at the back.